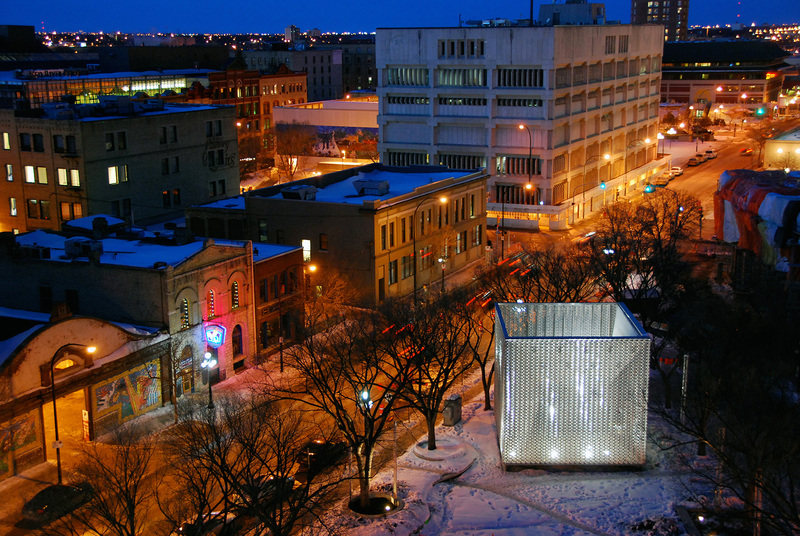 OMS Stage (“The Cube”) is an open-air performance venue in Old Market Square, a green space and summer festival hub in Winnipeg’s historic Exchange District. 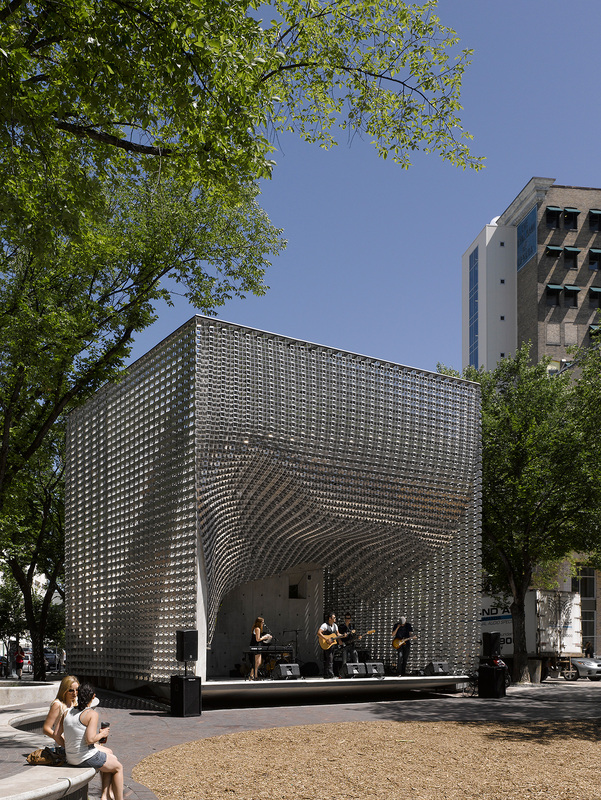 A concrete structure enclosed by a flexible metal skin, the stage is a year-round public amenity. The membrane is composed of 20,000 identical hollow aluminum pieces strung together on aircraft cables. 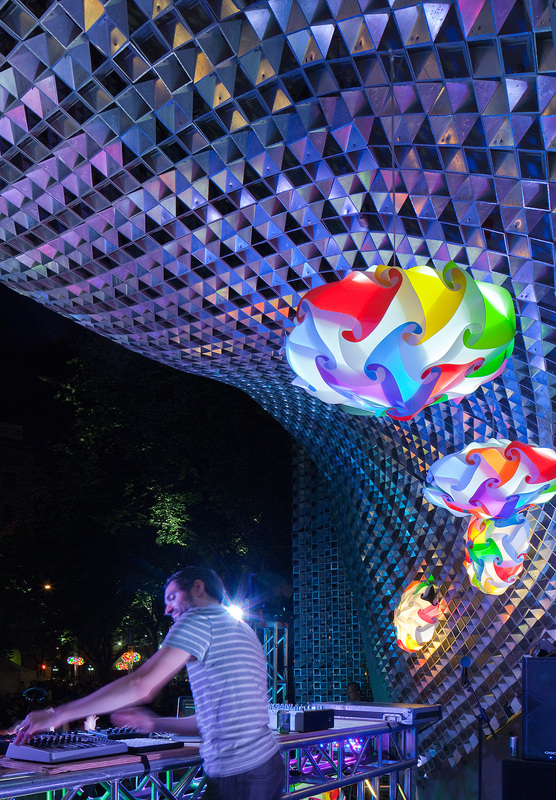 The orientation of the pieces alternates, forming a malleable and shimmering curtain that can stand like a wall, pull in to reveal the performance space, or function as a light-refracting surface. It is a projection screen, concert venue, shelter and sculptural object. 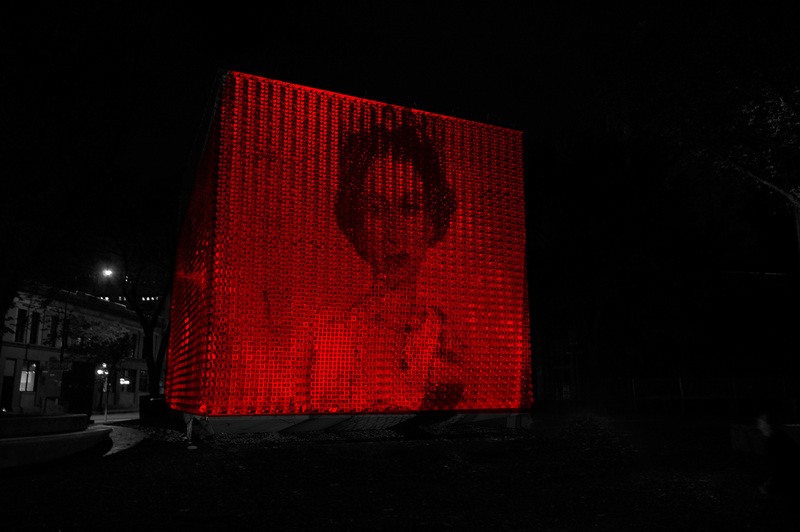 "A small urban gesture but a large contribution to the city. 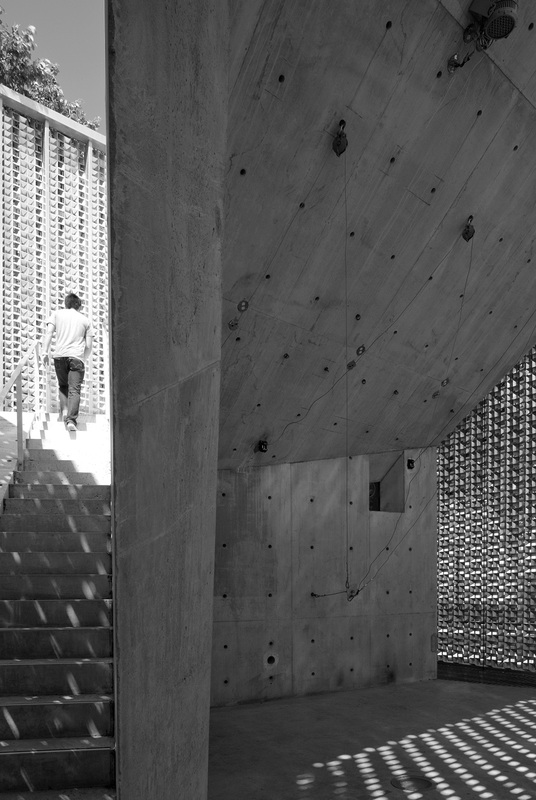 This building works on many levels: as sculpture, performing stage, folly and meeting place. Its innovative and flexible design allows for constant transformation to accommodate a variety of programs and activities, year round. It expands the realm of possibilities associated with a band stand and is a shining reminder of the architect’s responsibility to animate the public realm."